Lieutenant Bradley Heap has gone AWOL and taken along his wife and son. They’re managing to cope until a chance encounter with a gang of drug dealers turns their world upside down. With no money and no contacts, the Heaps are forced underground. It’s a tough path they’ve chosen, but they can cope with anything as long as they stay together as a family unit. Detective John Locke of Police Scotland joins forces with the Navy police in the search for Heap and his wife on a trail that will take them from the middle of Scotland to the edge of the South Lakes. 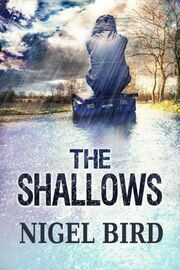 The Shallows explores the limits of human endurance and examines how far people will go to protect the ones they love. It is a twisting tale of tension, despair and intrigue that encapsulates the essence of hope.